dholcombe wrote: I walked approximately that route to the MAX every class day. And you didn't trip on the trolley tracks that go directly to the PSU campus? Nobody, but if you are on an appliance run, you might as well get a case of beer while you're out! Nobody, but if you are on an appliance run, you might as well get a case of beer while you're are out! The last time we had a lengthy conversation was just over a year ago when he decided school was just not for him. He got good grades in high school, but his undetected dyslexia made it very difficult for him when he got to UP. He could still pass his classes, but he was overwhelmed by the academic rigor and eventually just starting missing most of his classes. He was hoping for a new start after UP, but after sitting out the entire season at College of Southern Idaho after blowing out his knee in the first game, he stopped working-out which allowed him to get too big....probably close to 275 when he eventually left PSU. Still a wonderful guy to talk to, IMO, he's keeps in touch with his friends from the old days, Kevin Bailey, Kory Thieleke, and Derrick Rogers. Walking is faster than that waste of $ streetcar that they call public transportation. It's only faster if there is one there at the very moment you start walking..and even then it's sometimes slower. I have walked all the way from Morrison to deep NW where the street car turns around along the path so I could hop on at a stop if one showed up and never seen a single street car multiple times. 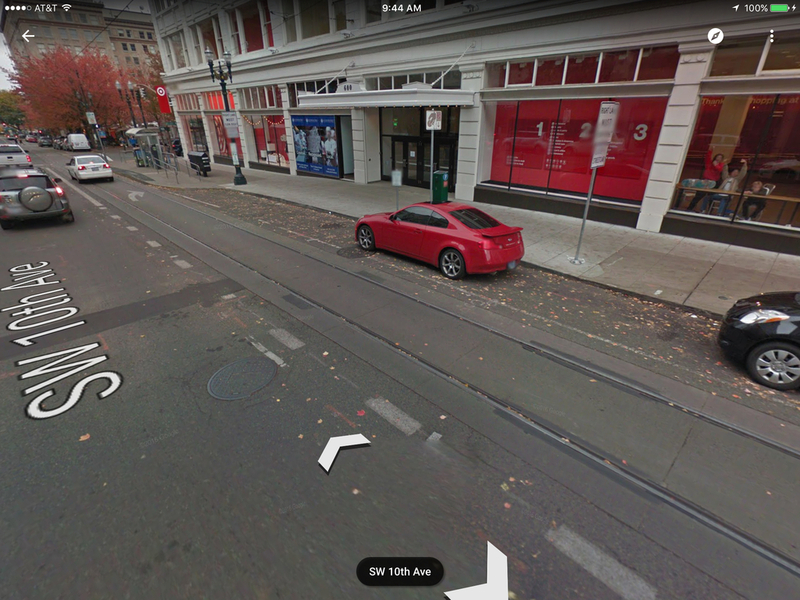 I think I've ridden the street car 2x despite having spent multiple years walking along its path. I have a hard time figuring out who uses it. People in motorized wheel chairs so they don't run the battery down? People in human propelled wheel chairs are just as fast or faster than me on foot. People with crutches? Tourists? IMO if you're going to spend a bunch of money on public transport go all in and spend the extra money to elevate it (like the L in Chicago or BART at the Oakland Colisseum) or dig a hole and put it underground (like the Subway in NY or BART in downtown SF). dholcombe wrote: I have a hard time figuring out who uses it. dholcombe wrote: And who stops to get kitchen appliances during a beer run (I honestly don't recall what aisle it was, but it was an aisle you don't use every day)? I distinctly remember once going to pick up a blender to use for our Margarita Monday! Not sure if beer was involved, but it probably was. And it was probably Old Milwaukee's Best Light. Barf. I think this thread has come to it's natural answer at last. Where do we go from here? The pub! IMO, if Chier returns to UP (and the odds are better than 50-50 that he will) then Maluach and Anticevich are morel likely to want to join their former teammate at UP. No announcement from the Hilltop, but it looks like former North Carolina star, NBA player, and top aid to Kyle Smith at Columbia, Derrick Phelps, will join the USF staff. If it's true, he will join former Columbia coach Kevin Hovde on Smith's staff.....further lessoning Rev's chance of latching on at USF.....and giving the Don's a real recruiting presence on the east coast. EDIT: Just received an email from a friend saying that Smith is expected to round out his staff USF with Todd Golden, an assistant at Auburn. Many here will remember Golden for his stellar career at St. Mary's (2 NCAA Tournaments), graduating in 2007, and he was for one season a member of Smith's staff at Columbia. So, Malcolm Porter was 2nd team all state, 1st team all Metro after having been the Metro co-player of the year last year. In the Northwest Shootout, he scored the tie breaking basket for the Oregon boys, according to the Oregonian, finished with 10 points and 8 rebounds, seemed as if he was important to the outcome, but is officially undecided in his choice of a school at which to continue his basketball career, even though I am certain that his father was in attendance. I'd be stunned if his father wasn't in attendance. EDIT: Just received an email from a friend saying that Smith is expected to round out his staff USF with Todd Golden, an assistant at Auburn. There are still a number of assistant coach positions open around the US, and as it's without question that Rev wants to keep coaching, I'm confident he'll land something soon. Last I heard he was looking at a school in the ACC and one in the Pac-12. (If it's Georgia Tech in the ACC, they just got a hot young head coach in from Memphis with a full head of curly hair....Rev could show an excellent contrast in styles). DoubleDipper wrote: There are still a number of assistant coach positions open around the US, and as it's without question that Rev wants to keep coaching, I'm confident he'll land something soon. Yup, that's where Rev is headed, Georgia Tech....good for him. Portland to Atlanta for both Rev and Athletic Performance Coach Brad Scott.....hope they like it there, it's a great city, but having spent almost his entire life on the West Coast, there's definitely going to be a period of adjustment for Rev and his family!! Buckhead is a nice area to live......Go Rev!